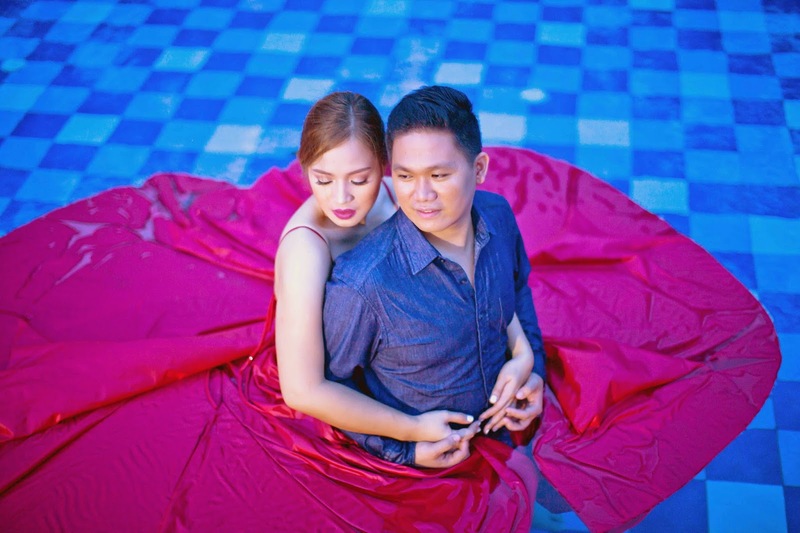 "I have always believed that to pull off a very nice engagement shoot there should always be teamwork. It is a team effort from the couple and all the suppliers like the Stylist, Hair and Make up Artist and the Photographer. Everyone should only have one goal, and that is to make the shoot perfect for the couple. One should be open with the idea of the others and combine all brilliant concepts. 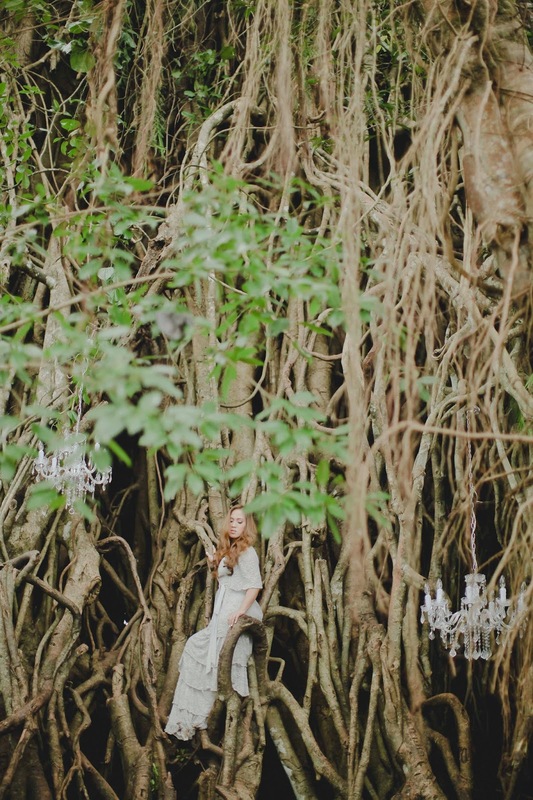 In this way, we not only make the shoot easier but beautiful for the couple. After all, we are doing this for them. 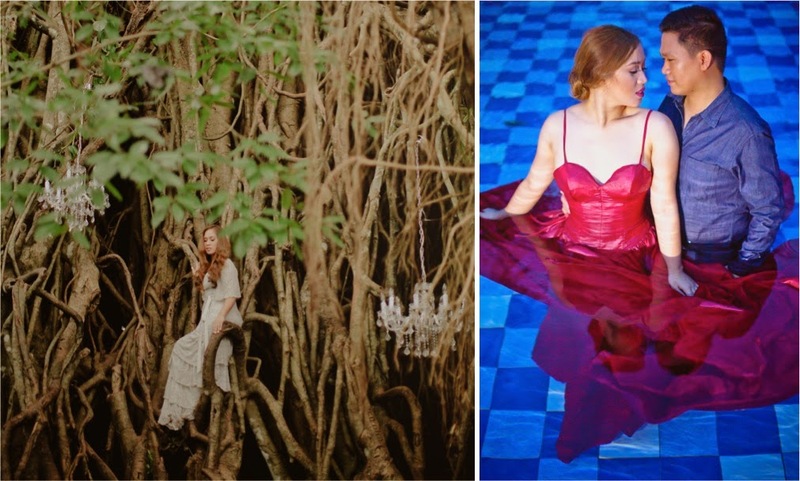 We stayed at Costa Pacifica Resort and were able to shoot in Balete Tree and Mother Falls. 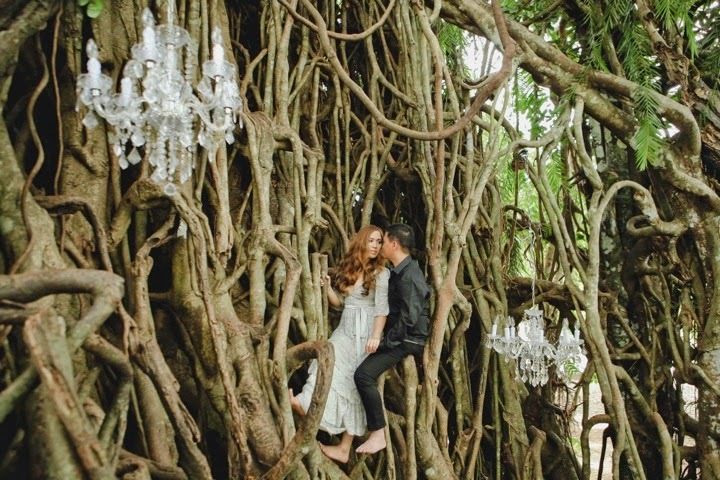 Badang’s brilliant idea of hanging chandeliers in the roots of the Balete Tree adds character to the look. Work becomes easier when the couples are cooperating. Whatever you ask them to do, they follow right away. Maybe because there’s too much love overflowing that’s why it is easier for them to just be comfortable with the poses and just let it go. I would say that trust is a big factor in making your shoot successful. 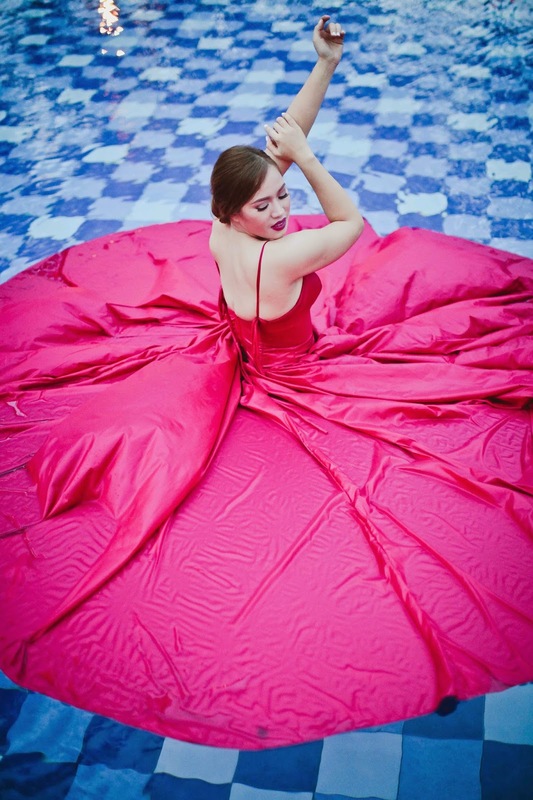 When you hire a supplier give your 101 percent trust to them, because if you do, they will give all the love and effort to make your Engagement Session beyond exquisite."